Is there a crock-pot recipe fancy enough for a special occasion? 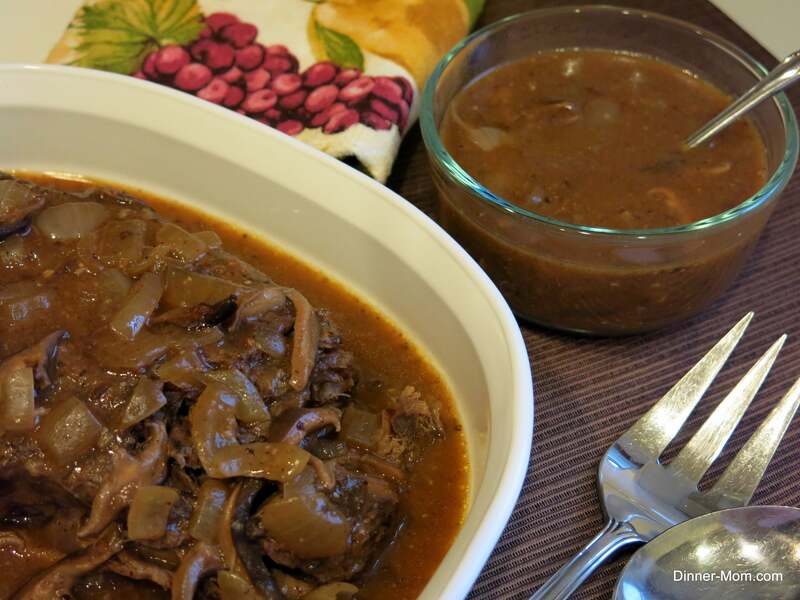 Black Forest Pot Roast gets the top rating because a rich gravy made with red wine, garlic, shiitake mushrooms and sweet onions smother fork-tender beef. You will want to soak up every last drop of the gravy with mashed potatoes, fresh bread…I wanted to lick the plate clean! The preparation is super simple which makes this recipe especially attractive for entertaining. It can be made ahead of time and is freezer-friendly. Dinner prep doesn’t get any better. The recipe is aptly named “Black Forest” when shiitake mushrooms are used because this type of mushroom is cultivated in forests. It has a smoky flavor and holds it own in this recipe. However, please note that ANY mushroom will work in this recipe and I have used all different types including white, baby bella and cremini mushrooms. One cup of sliced mushrooms is all you need. 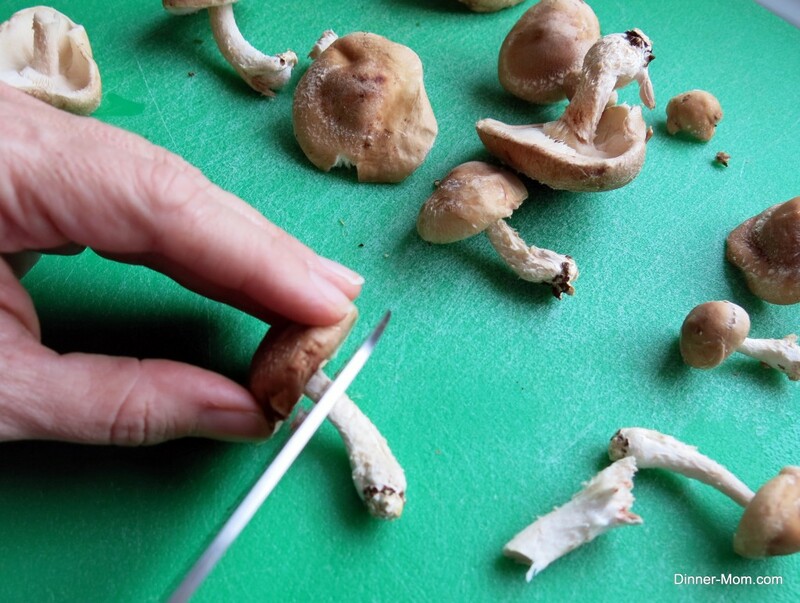 The stems are tough and should be cut off close to the cap and discarded. They are very porous, so it’s best to wipe off any dirt with a damp paper towel rather than dousing the shroom with water. 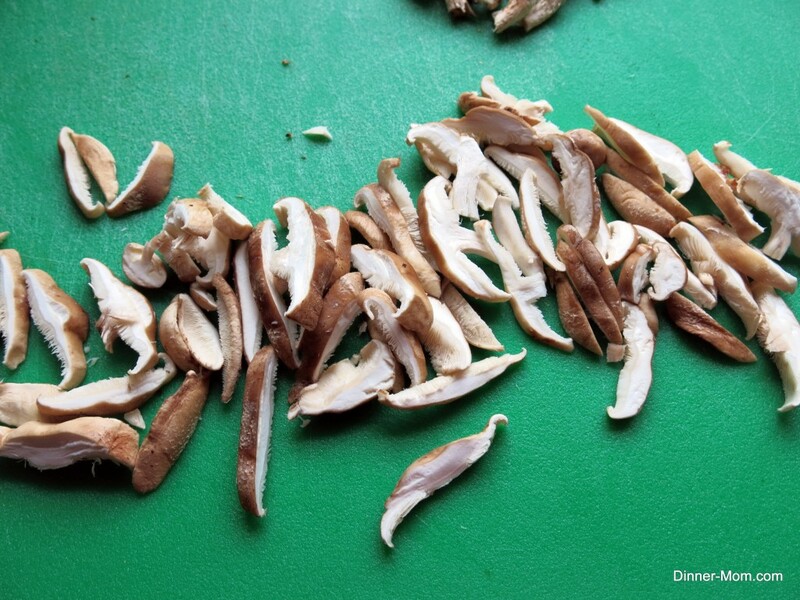 Slice the mushroom caps in thin slices. Dried shiitake mushrooms can be used after they have been reconstituted. 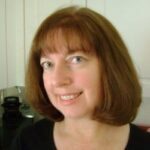 I love this cut because it is relatively low in fat and still works well in a crock-pot. As for wine, I used a Merlot. Other dry red wine options include Cabernet Sauvignon or Pinot Noir. 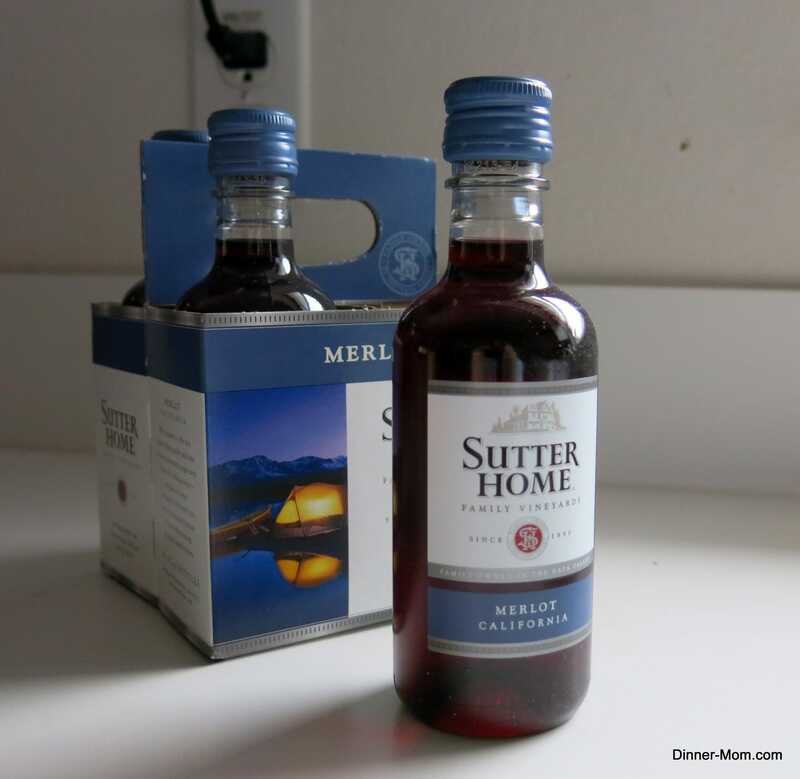 Use whatever you like to drink or just buy the little bottles and store them in a cool place for your next recipe. The preparation is simple. Mix together ketchup, red wine, water, Dijon mustard, Worcestershire sauce, minced garlic, sliced mushrooms and chopped onions. Place the beef shoulder in the crock-pot and then cover it with the sauce. Food allergy tip: Worcestershire sauce contains soy and often gluten. We leave this ingredient out…and it still tastes great. A really fun part of this recipe is turning the juices into the rich gravy. Remove the meat from the crock-pot and keep it warm. Combine 2 Tablespoons of corn starch with 3 Tablespoons of cold water. Stir the corn starch mixture into the juices in the crock pot. Cover and turn the heat up to high. Cook for about 15-20 minutes. Like magic, a thick gravy develops. 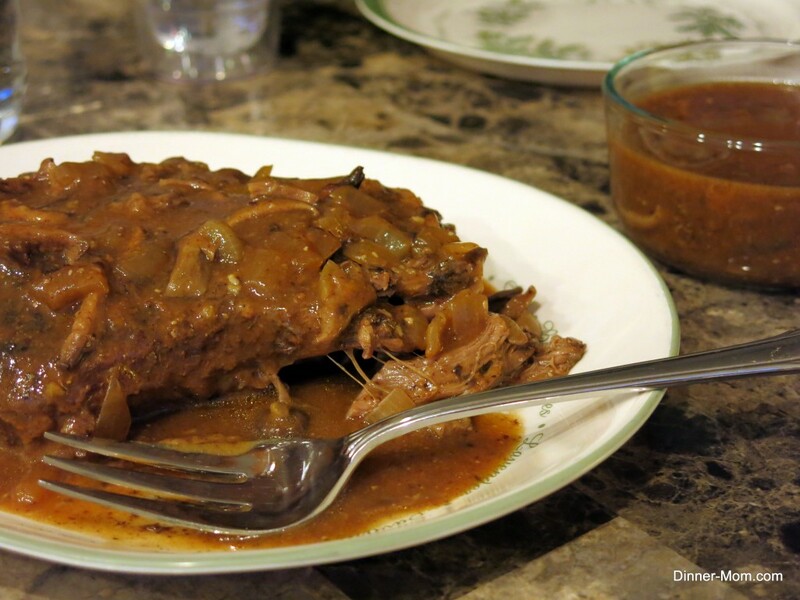 Drum roll please…Black Forest Pot Roast…with lots of gravy for pouring, dipping and sopping! We made this recipe in our store for many years and it was based upon a recipe in and old crock-pot instruction booklet. Make it ahead of time (except for the corn starch/water add-in) and freeze it by preparing all the ingredients in a ziplock freezer bag. Add the beef shoulder roast and seal, removing any extra air. It stores well in the freezer for about 2-4 months. Completely defrost in the refrigerator before cooking. 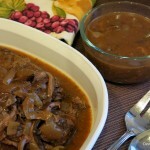 A rich gravy made with shiitake mushrooms, onions, garlic and red wine smother fork tender beef. An impressive entree for entertaining. But, be sure to add bread, mashed potatoes or something else for your guests to sop up the suberb sauce. Mix the first 8 ingredients together in a bowl. 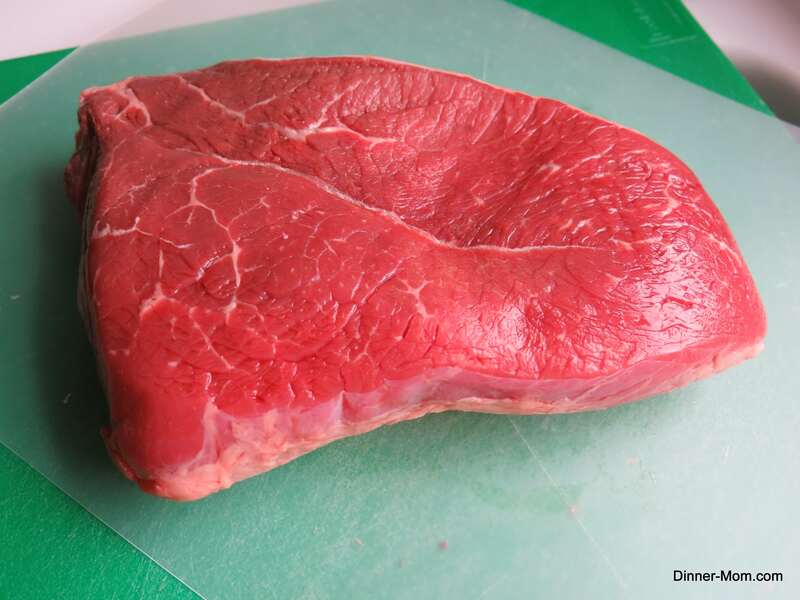 Trim fat from beef roast and place in crock-pot. Pour sauce mixture over the beef roast. 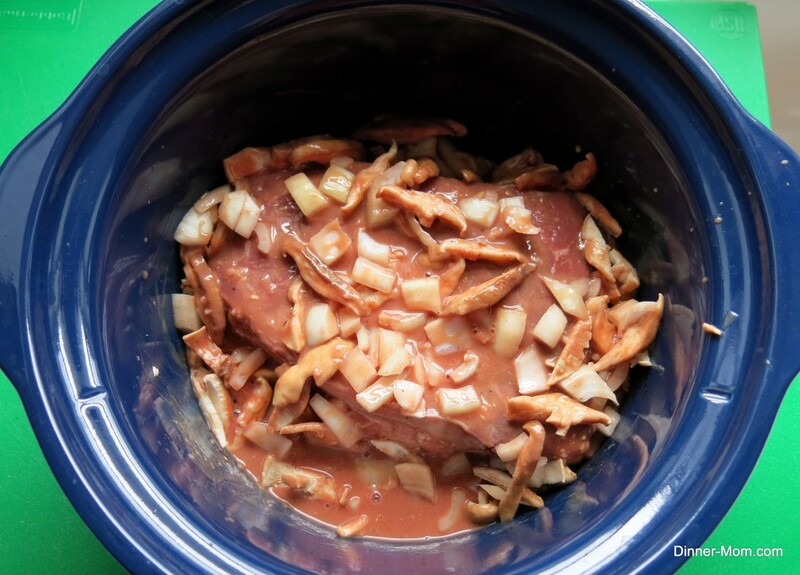 Remove meat from crock-pot and keep warm. 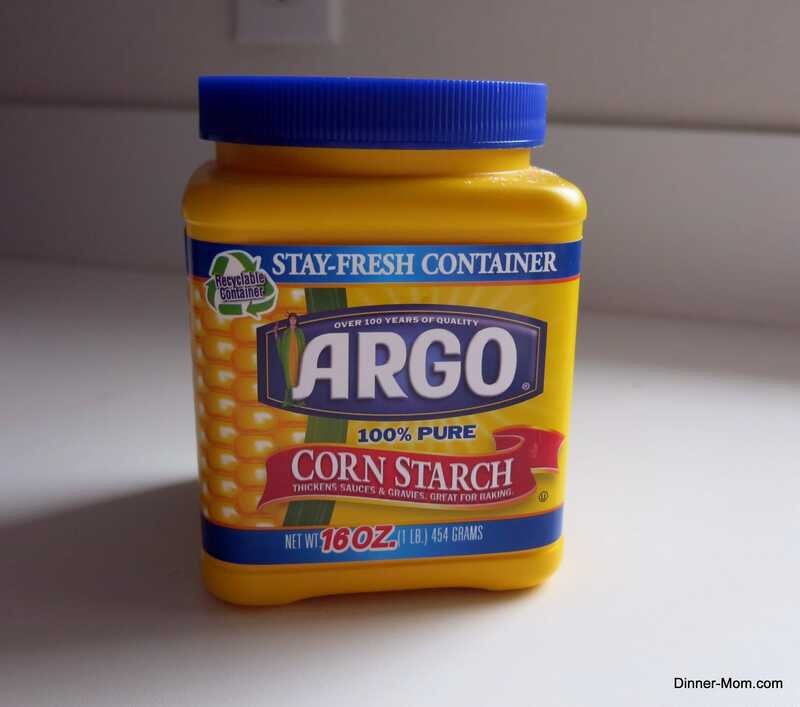 Mix corn starch with 3 Tablespoons of cold water. Add corn starch mixture to the juices in the crock-pot and stir. Turn the heat to high and cook for 15-20 minutes more. This recipe can be made ahead of time and frozen. Mix all of the ingredients (except for the corn starch/water mixture) in a ziplock bag. Add beef roast. Store in freezer 2-4 months for best quality. Defrost completely in refrigerator before cooking. It was a tasty Valentine’s dinner! I had this the other night and the flavor was wonderful and the meat was tender. I would definitely make this again and serve it over mashed potatoes. I loved the taste of the sauce! So glad you enjoyed it. You can freeze the leftover gravy. If necessary, add a little cornstarch to thicken it up when re-heating. Can I use brisket instead of the shoulder roast? I’ve got one in my freezer that’s looking for a good recipe like this. You absolutely could use brisket! Perfect, thanks for the fast reply! I intend on making this for dinner tomorrow and was wondering if adding some baby carrots and cubed Yukon Gold potatoes would detract from the flavor and/or amount of gravy in this recipe. I have been searching for a recipe for hours and this honestly looks and sounds like the best so far, but I would like all the vegetables to be cooked with the roast. Hi! You should be able to add carrots and potatoes. I would double the sauce…we often do this anyways to have extra! Enjoy! You are so welcome. I hope you enjoy it as much as we do! Made this tonight and it was wonderful. Not a big fan of pot roasts, but I will definitely be making this again. The gravy was delicious. I will double the next time. Thanks so much for sharing. Can I cook on high in crock pot for 4 hours? Yikes!! HELP!!! I bought all the ingredients for this before I actually read the directions, and 3/4 of the way thru dicing the roast did I realize this is a pot roast recipe. /. Stew~ ish recipe??? It’s kind of too late, I put the cubed shoulder, doubled the gravy recipe added everything to the crock pot except the corn starch and water… what do you think??? How long should I cook it? Thank you for your help in advance! Hi! I think it should be fine with beef cubes. You don’t need to change the cook time. I’d love to know how it turns out! This thread looks old but I’ll try to reach you anyway. Ketsuo, Red wine, Water, Dijon, Worchestershire, garlic, and pepper? Hi! Yes, double everything except for the meat. Can I use a frozen beef roast? Forgot to thaw it. Hi! It’s best to defrost the meat before adding it to the crock-pot.